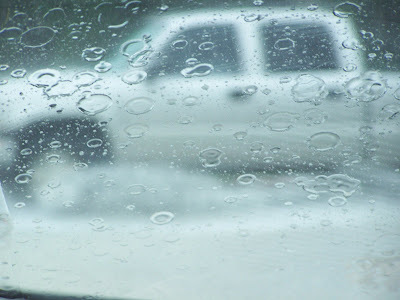 When we drove into town on Thursday we were welcomed with big rain storms. 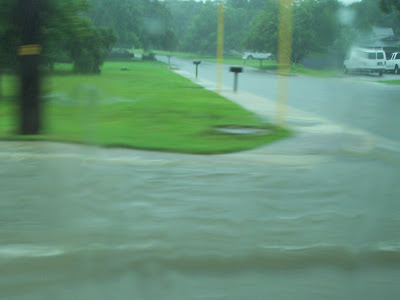 The storms left many parts of the town flooded. It was a challenge to get to the Realtors office so we could get the keys to our HOME!!! The street in front of their office was completely flooded and it was a good thing that we had been the back way from the church before or we wouldn't have known where to go! I thought San Antonio was supposed to be hot and sunny! It has actually rained at least a little bit every day we've been here and some days there have been big downpours. We thought the fireworks were going to get rained out but the skies were clear after about 8:30 so we got to see a good show!